Portugal is the country with the largest area planted in eucalyptus in Europe and ranks 5th worldwide. This is the result of an active strategy to promote eucalyptus plantations, implemented through a combination of forest policies and market instruments. It gave rise to the largest monoculture plantation of eucalyptus in Europe: more than 800,000 hectares covering a quarter of Portugal’s forest area and 9% of the continent's territory. This process began during the fascist regime of 1933-1974. 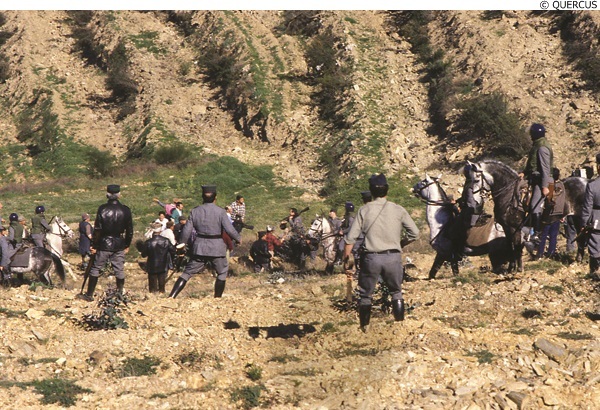 At that time, 7,638 communal land parcels (baldios) that together totalled 408,000 ha and guaranteed the traditional subsistence rights of the commoners (such as grazing and collecting firewood and fuel) were managed by the state Forest Services. This government department pushed ahead with the implementation of the state’s afforestation policies. After the 1974 revolution, in many cases, the commoners and the state jointly managed communal lands. Even so, the commoners’ assembly and municipal councils did not have a say in the regulations that would soon be adopted on tree planting. This situation arose because most communities did not have the technical skills necessary to manage the forested lands and their communal structures and social arrangements had been severely weakened during the years of dictatorship. In the 1980s, three key processes occurred simultaneously. First, the Forest Service underwent a series of reforms, which severely hampered its capacity to manage the forest lands. Secondly, some of the private pulp and paper companies were nationalized and consolidated as one group called Portucel (currently the Portucel Soporcel Group). Thirdly, to make the situation worse, many commoners delegated local management to the parishes, thereby abdicating their direct control of the land. The pulp and paper industry and their eucalyptus suppliers were the ones to benefit from this situation the most, to the detriment of the public interest. This was the period in which the eucalyptus monocultures expanded the most. Already in 1990, 35% of the area planted in eucalyptus was owned by pulp and paper corporations and 65% by private owners and commoners who had signed long-term rental contracts. In 1989, hundreds of farmers met in Armada (Ponte de Lima) to protest against the parish’s decision to rent their common lands to Portucel for a 29-year period. 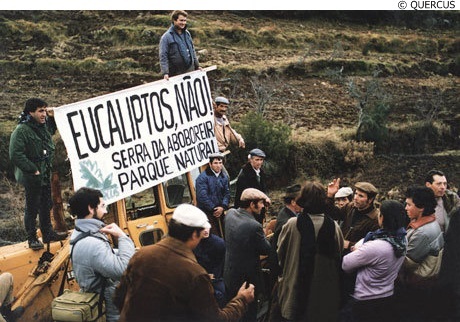 That same year, in Valpaços, the olive oil producing region of Trás-os-Montes in northern Portugal, farmers rebelled against the eucalyptus plantations (200 ha), which were replacing the olive trees. Over 2,000 people - mainly the local population of four parishes together with some ecologists - engaged in direct action and managed to pull out 3,000 eucalyptus seedlings. 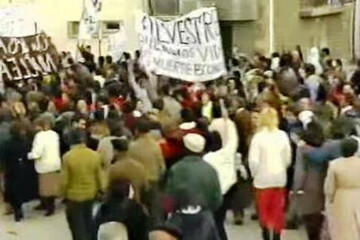 The police reacted strongly, attacking the protesters, which resulted in injuries and the arrest of one farmer. 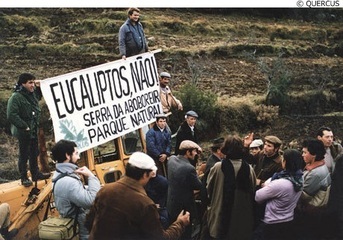 Later on, in 1995, the "Federação Nacional dos Baldios" (National Federation of Common Lands) was created to support the movement of the commoners. Then, in January 2012, the "Plataforma pela Floresta" (Platform for the forest) was created with the purpose of fighting to get the law that established special criteria for the eucalyptus plantation revoked. 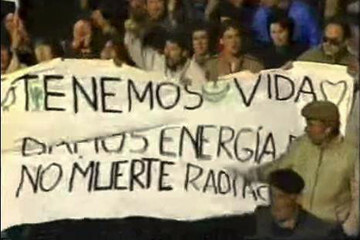 This platform is made up of environmental groups, activists, intellectuals, and scientists from all around the country. In September 2014, the Portuguese government announced a change to law no. 68/93, which regulates the management of communally owned uncultivated lands. The purpose of this alteration (law no.72/2014) was to facilitate the entry of external agents and promote a rental economy on the common lands. It penalizes local communities for the lack of management of the lands by extinguishing the common lands and integrating them into the property of parishes and municipalities. This scenario was aggravated by the new legal regime (law no. 96/2013) that permits unlimited plantations of any kind of tree species in plots of less than two hectares, which represents more than 80% of the forest area in the country. 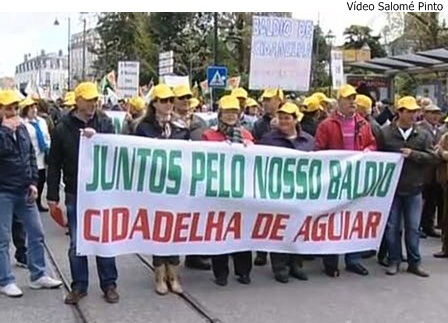 This proposal gave rise to protests in which an estimated 5,000 people - mostly farmers - gathered in front of the parliament in Lisbon to defend the commoners’ right to remain the legitimate owners of the baldios. On June 17, 2017, the forest fire that ended with the highest number of victims (64 dead and 254 injured) and caused the most damage (more than 500 houses, 40 companies, and 350 jobs) in the history of Portugal raged through the country. Economic losses from this fire are estimated at 250 million euros. It began in the Pedrógão Grande parish (Leiria district) and spread to the neighboring parishes of Castanheira de Pêra, Figueiró dos Vinhos, Ansião, and Alvaiázere (Leiria district); of Sertã (Castelo Branco district); of Pampilhosa da Serra, and of Góis (Coimbra district). On October 15, 2017, fires broke out again in the center and the north of the country: 523 incidents were reported on the same day. The fires spread rapidly, destroying numerous houses and industrial buildings, cutting off access to several roads, and causing 45 deaths. In March 2017, after receiving over 600 contributions from citizens and organizations, the Council of Ministers approved reforms to the forestry code. The reform proposes a new afforestation regime, the attribution of new powers and a greater capacity to intervene to municipalities, and the creation of a Land Bank. In November 2017, the Government of Portugal approved a new regime that prohibits eucalyptus trees from being planted in burned areas previously occupied by native species in order to create greater balance between different forest species and preserve biodiversity. Project Details General context: Portugal has the largest uninterrupted and monospecific Eucalyptus area in Europe (+800,000 ha, ¼ of the Portuguese forest area and 9% of continental territory). 170,000,000 dollars (approximately) was invested by the International Bank for Reconstruction and Development to afforest 150,000 ha - 90,000 ha by the Official Services (DGF) and 60,000 ha by Portucel between 1981 and 1987. Company Names or State Enterprises Portucel Soporcel Group from Portugal - one of the largest beneficiaries of state business grants and incentives due to its strategic interest for both Portugal's exportation and local eucalyptus economies. International and Financial Institutions International Bank For Reconstruction And Development (IBRD) - invest money in afforestation. Why? Explain briefly. Although the intensification of eucalyptus monoculture is advancing throughout the years, it is possible to observe a consistent struggle for forest preservation and right to access the commons lands not only by farmers, but by civil society, environmental groups and other social movements as well. Serra, R., Alavez-Vargas, M., Skulska, I., and Garcia Barrios, R. (2013). Academic-community collaborations: what kind of hybrid institutions for knowledge production and decisions on collective management?. 4th EMES Conference on Social Enterprise Research. Centre for Social Studies of the University of Coimbra; National Autonomous University of Mexico. Coimbra. Baptista, Gualter, B. (2010). Bridging environmental conflicts with social metabolism. Forestry expansion and socioeconomic change. PhD Thesis. Faculdade de Ciências e Tecnologia. Universidade Nova de Lisboa. Lisboa. BAPTISTA, Gualter, B. Bridging environmental conflicts with social metabolism. Florestry expansion and socioeconomic change. Universidade de Lisboa: Faculdade de Ciências e Tecnologia, Dissertação de Mestrado, Lisboa, Nov. 2010. MELO, Cristina J. A questão fácil dos baldios: não lhes tocar. In: AMORIM, Inês; BARCA, Stefania (org.). Propriedade e usos comunitários e sustentabilidade das economias camponesas. 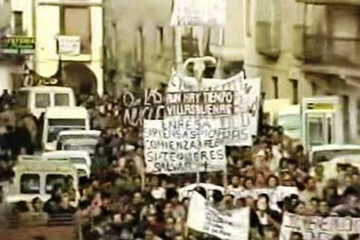 Olhares historiográficos. Cescontextos, n. 1, Mar. 2013, p. 21-82. Atas do I Encontro Internacional de História Ambiental Lusófona. CES-Centro de Estudos Sociais da Universidade de Coimbra, Mar. 2013. Tavares, Alexandre ; Monteiro, Mário; Alavez-Vargas, Mayrén; Pato, R.L; Serra, Rita (2014), "Land use change and forest routing in a rural context: The relevance of the community-based management and planning framework. ", Applied Geography, 52, 153–171. SERRA, R. (cord.) et al. SCRAM – Projeto: Crises, gestão de risco e novos arranjos sócio-ecológicos para florestas, Uma perspetiva dos estudos sobre Ciência e Tecnologia. CES-Centro de Estudos Sociais da Universidade de Coimbra, 2008. News Article. CAMPO ABERTO. Aliança para acabar com as vagas recorrentes de fogos. Campo Aberto- Associação de Defesa do Ambiente. 20 jun. 2017. News Article. GERALDES, Helena. Reforma das florestas aprovada em Conselho de Ministros. Wilder. 21 mar. 2017. News Article. LUSA. Indústria papeleira considera discriminação do eucalipto inaceitável. RTP. 4 abr. 2016. News Article. EXPRESSO. Governo trava expansão da área de eucalipto. Expresso. 24 jan. 2016. Environmental groups accuse the government of supporting the destruction of Portuguese forest with new law. 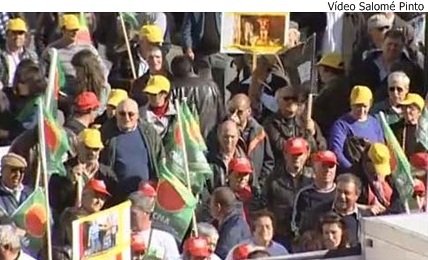 MAIS DE 5000 AGRICULTORES EM PROTESTO CONTRA NOVAS IMPOSIÇÕES FISCAIS E "ROUBO DOS BALDIOS", Jornalista: Salomé Pinto; Imagem: Jorge Coutinho, 3 abril 2014. V Congreso Internacional de Agroecología y Agricultura Ecológica - Baldios em Portugal: desafios e potencialidades para as instituições e para as comunidades em tempos de crise. El lema de esta edición del Congreso es el de "Propuestas agroecológicas al industrialismo: recursos compartidos y respuestas colectivas". Dentro de las actividades del evento podremos conocer experiencias e investigaciones de interés a nivel gallego, estatal e internacional. Investigadora: Rita Serra (CES/UC), TV Universidade de Vigo. Other Comments The main GPS coordinate is from center Portugal.